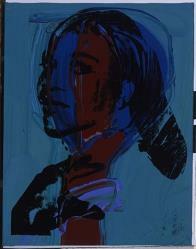 The exciting exhibition Warhol & Mapplethorpe: Guise & Dolls opened this weekend at the Wadsworth Atheneum Museum of Art in Hartford. Focusing on New York in the 1970s and early 80s, the exhibition explores the vibrant and tumultuous era of change through the work of Andy Warhol and Robert Mapplethorpe, both of whom created significant bodies of work in self-portraiture, in which particular disguises, characters and ambiguous personalities are evoked. It’s the first dual museum exhibition to feature these two visionary artists, and it includes the artists’ portraits of each other, self-portraits and a selection of iconic portraits of sitters that address role-playing and gender roles–masculinity, femininity and androgyny. The accompanying book of the same title inspired one of our Press interns this summer to meditate on the history of image, culture, and a sense of family in the transgender community. With the tireless activism of transgender women like Laverne Cox, Lourdes Hunter, and Janet Mock, as well as the dramatic entrance into the world of celebrity of Caitlyn Jenner, the cracks in the gender binary are beginning to show in a big way. I’ve noticed that young, queer people often forget where we came from. We see our struggles for recognition and visibility as something new, think that our struggles as a community have been entirely linear. But in fact, in the years after the Stonewall riots of 1969 (a movement that, we must never forget, was started by transgender women like Sylvia Rivera and Marsha P. Johnson), there was an absolute flourishing of queer culture. Transgender bodies were being not only accepted, but celebrated. 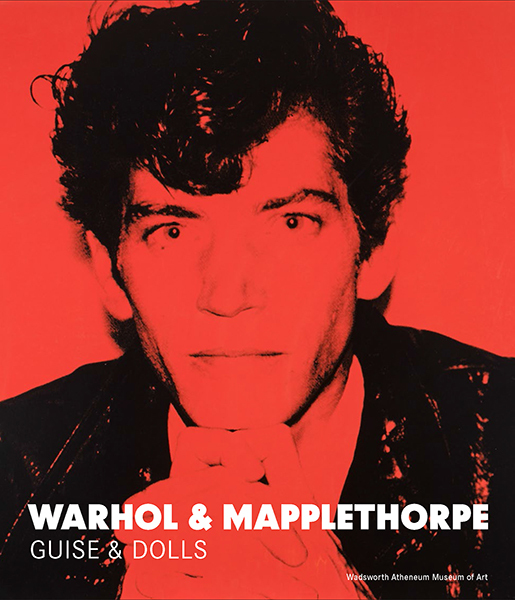 It has fascinated me to view a new exhibition and book in this context: Warhol & Mapplethorpe: Guise and Dolls opens today at the Wadsworth Atheneum Museum of Art in Hartford. The show and the accompanying book, edited by Patricia Hickson, offer the first consideration of these two major artists together. Warhol & Mapplethorpe is, at its heart, a snapshot into the world of gleeful rejection of gender norms that peaked in the mid-70s. It saddens me how soon we forget, but doesn’t surprise me. Unlike many other groups, LGBT people do not pass their history down within a family. Being second-generation Swedish, my understanding of the depression, the Second World War, the Swedish transition from a Lutheran to a secular country, and the difficulties of being an immigrant in the twentieth century are all enriched and colored by stories I’ve heard from my great-grandparents and my farmor. But coming from a family that can teach you about your queer shared history is either inaccessible or only a happy coincidence for us. To understand where I came from on the same level I understand my cultural roots, I would have to have had a friend, teacher, or mentor, who lived through those times. 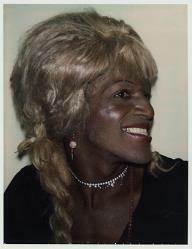 Robert Mapplethorpe, Aira, 1979. Gelatin silver print, The Robert Mapplethorpe Foundation, N.Y. © Robert Mapplethorpe Foundation. Used by permission. Unfortunately, for many young queer people, those older mentors are in short supply. It’s something that I’ve found, in my time as a student leader of my college’s queer student union, we think about pretty rarely, or without truly understanding the impact it’s had. We lost an entire generation of us in the eighties, and our community has yet to fully recover. Robert Mapplethorpe, Patti Smith, 1986. 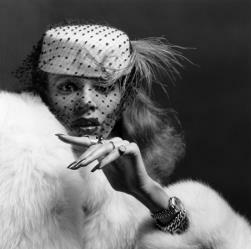 Gelatin silver print, The Robert Mapplethorpe Foundation, N.Y. © Robert Mapplethorpe Foundation. Used by permission. Helen O’Brien was an intern in the art & architecture department at Yale University Press in the summer of 2015. She is a senior at Williams College, where she co-chairs the Queer Student Union.